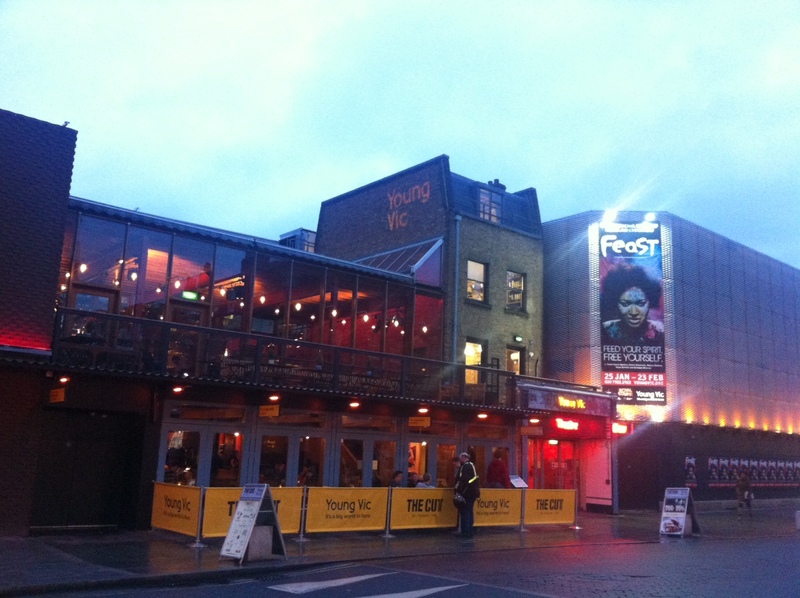 The Young Vic sits in the Southwark neighbourhood of London, right by Waterloo Station and a stones throw from the Thames River and Southbank. It’s a super chilled part of London, and hosts a thriving cafe, restaurant and theatre scene, most densely congregated along a street called The Cut. The Young Vic’s exterior stands out on The Cut, with it’s metallic architecture and bright neon lights, and people spilling out onto the street tables that stand out from the bar’s full length glass doors that open right out onto the pavement. The venue’s logo claims “It’s a big (huge!) world in here” and it certainly is. 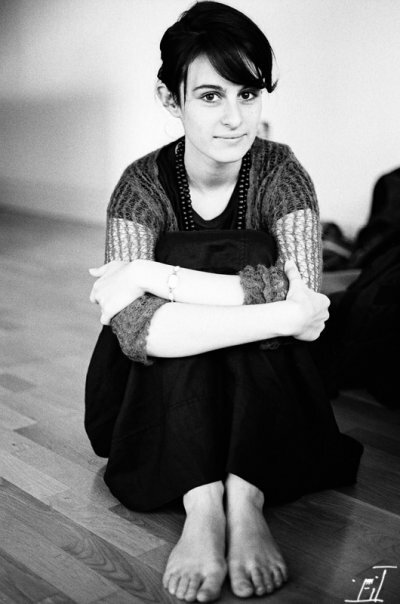 While the Young Vic theatre isn’t literally large, the theatre has big ambitions, and brings stories from all over the world into its two performance spaces. The work you’ll typically see here is by companies with compelling and challenging yarns to tell, about people and political happenings from Palestine, China and the Congo amongst many others. It’s a refreshing change from the large musicals and popular theatre of London’s West End – a place to come for pieces that will make you question your perceptions and understanding of other cultures. Housed in the building is also The Cut Bar and Restaurant, one of the nicest in the area. Candle-lit in the evening, and full of natural light during the day, the space is open with tall ceilings and simple wood furniture that gives the space a stark, modern feeling. Its often packed before and after the shows, teeming with an eclectic crowd of theatre lovers. The restaurant’s seasonal menu serves up a balanced mix of classic and original dishes made with fresh, free-range and organic ingredients, and their special dishes always have a sense of humor, linking in with the themes and geographical identities of the theatre shows currently playing at the venue. This is a favourite stop of mine any time of the day, and the ultimate destination for theatre in Waterloo!